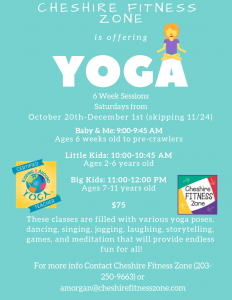 CFZ to offer Yoga for Kids and Baby & Me! 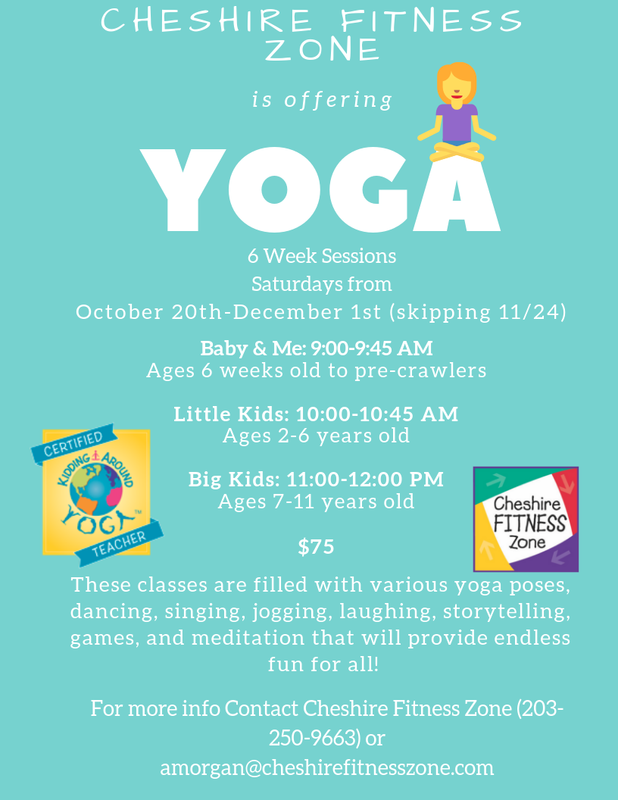 Cheshire Fitness Zone will be offering Yoga Classes for Big Kids, Little Kids and Baby & Me. This will be a six week session starting Saturdays on October 20th running through December 1st. Baby & Me is from 9:00-9:45 AM. 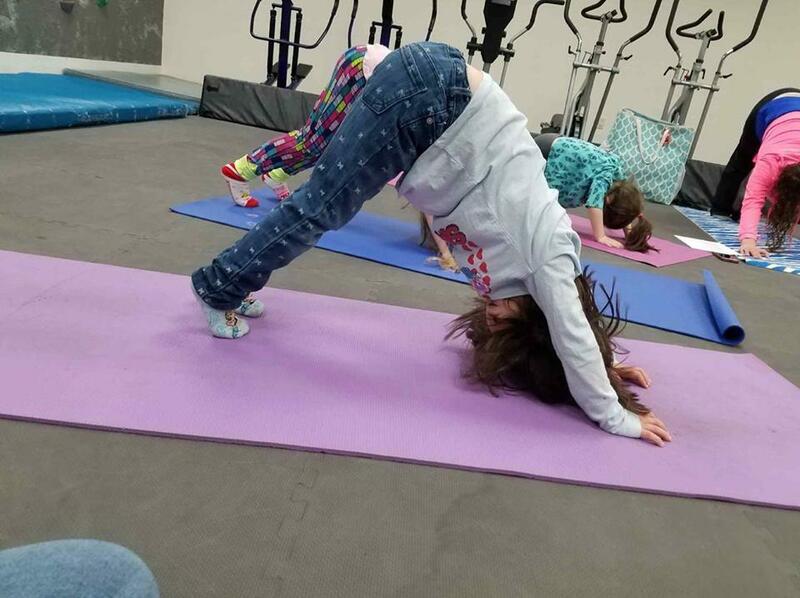 Little Kids (Ages 2-6) is from 10:00-10:45 AM. Big Kids (Ages 7-11) is from 11:00-12:00 PM. It will be $75 for one 6 week session. Please stop by or give us a call to sign up.